Our current season just began with the Cancer solstice, the moment of the Sun's ‘pause’ in the sky when it has reached its northernmost point -- a new season’s beginning. During the days leading up to the solstice, the ancient Romans paid tribute to Vesta: the goddess of hearth, home and -- in particular -- service. Eric’s latest live class (and one of his most popular) was just held June 20, and you're in luck. Retrogrades, Reincarnation, Re-membering is now available as a recording or download for only $37. For that price, you not only get unlimited access to the nearly three-hour class, you also receive additional class resources and the opportunity to join an email list to discuss the ideas further. You can be sure this year’s reading will be just as essential, whether you have a Cancer Sun, Moon or rising sign -- and you can pre-order it as a gift for yourself or a loved one at the lowest price we offer: just $24.95. The full Cancer Birthday Reading consists of two half-hour audio sessions of astrology, a tarot segment using the Voyager Tarot by James Wanless, photos of the charts and tarot spread, an extended sign description and access to last year's reading to mark your progress over the past four seasons. 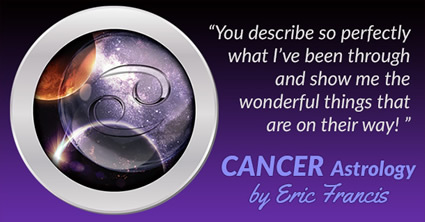 Eric’s birthday readings are among the most affordable, useful and excellent reading packages in the entire astrological profession. Note, we have birthday readings for all 12 signs. You can find those options here. Follow this link. You will love them. 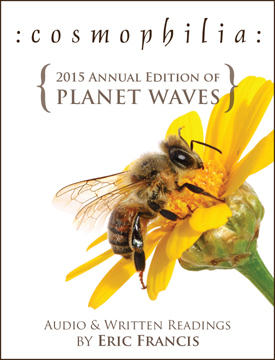 Planet Waves' magnificent annual edition this year takes the concept of biophilia, or the love of life on Earth, and broadens it to the cosmic level. 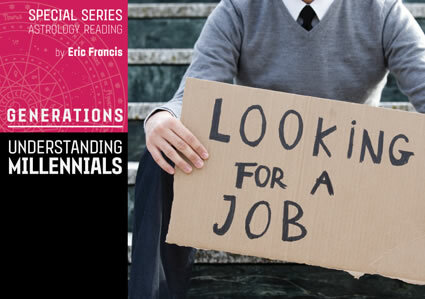 Alongside truly motivational, in-depth (yet easy to understand) written and audio material by Eric Francis on each of the 12 signs, purchasers of the annual receive a set of articles on the theme You Belong Here. Each sign includes more than 60 minutes of audio and a 4,500 word reading. 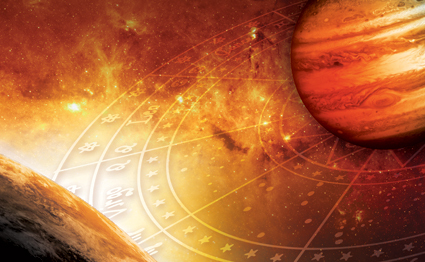 Our customers say these are better than private astrology readings by other astrologers. Said Planet Waves member Christina Caudill earlier this year, "When the Cosmophilia arrived it was the greatest gift I could have hoped for. A treasure. And it was a gift that kept on giving and giving and giving with each sign. Like a generous cornucopia of beauty with your insights and your words and the music. I never felt so spoiled. Thank YOU!" Cosmophilia aims to offer a place of universal welcome in the increasingly clinical environment of the Internet, as well as the top-notch astrology and analysis that's a hallmark of all of Eric's readings. You can still benefit enormously from this rich source of wisdom and warmth. You may preview the 2015 annual edition; you can purchase the full edition at the best value price of $97, or choose any combination of the individual signs. Sometimes Jupiter grants gifts, and sometimes it points to where we can reach for more. In Leo it is doing a little of both. 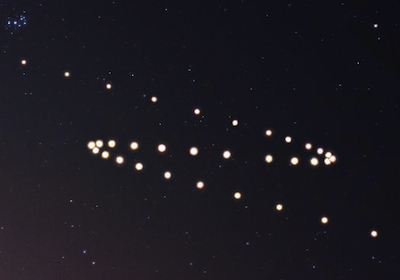 The 12-sign Good As Gold Reading highlights the current, extended transit of benevolent Jupiter through Leo -- a transit you'll want to use consciously while it's still active (Jupiter leaves for Virgo August 11, 2015). This 12-sign audio reading explores the relationship between self-esteem, creativity and money. These elements can be understood as specific concepts, goals or challenges; then, with imagination and good astrology, they can be worked with and integrated. Eric provides ideas, strategies, and motivational rants (his speciality) to get the blocks out of the way, access your courage, and invoke your vision for yourself. We are currently offering Good As Gold for a special package rate of $39 for all 12 signs and rising signs -- an incredible value.